Disclaimer: The views expressed here are the author's own. The opinions and facts expressed here do not reflect the views of Mirror and Mirror does not assume any responsibility or liability for the same.Two years on, impact of demonetisation is still being debated. Here’s a primer on some key concepts. 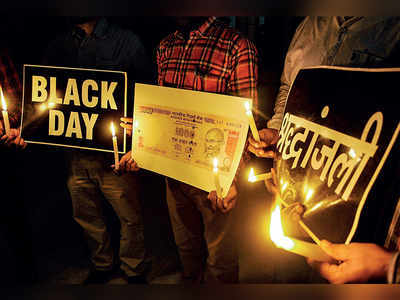 It’s been two years since demonetisation and the debate over its impact on the economy, whether it was good or bad, is still raging. There was a huge upfront cost for the economy (in terms of lower GDP growth, lost jobs, long lines and untold hardships), and there were long-term benefits (more digital transactions, a wider taxpayer base, greater formalisation of the economy). RBI vs Govt tussle: Is the government right to question the Reserve Bank? Much dust has been raised on the RBI-GOI standoff in the aftermath of the AD Shroff Memorial Lecture delivered by Viral Acharya, deputy governor of RBI. Of course, everyone, including RBI, knows that it does not have absolute autonomy and has to function within the parameters set by the government. The purport of the speech by the deputy governor is to remind that it should be allowed to perform unhindered in the field of its remit. When there are continuous attempts to transgress its regulatory role, he has chosen to remind the government, as well as the public at large, of the dangers involved in transgressing even the limited autonomy. The Indian government announced it would stop all imports of Iranian oil by November 4, following the threat of sanctions made by the U.S. As a country with a growing economy that imports nearly 80% of its oil, it means that India will have to increase imports from elsewhere – and West Africa and America are on the list. Considering the soaring trade between the South Asian country and Atlantic Ocean countries, it is time for New Delhi to think about a “Indo-Atlantic” concept to underpin and expand the reach of the maritime dimension of its Link West policy. When Narendra Modi assumed office as Prime Minister (2014), one of his foreign policy priorities was to strengthen ties with Middle East countries. The importance of the region for India’s energy security is still huge and according to public data, two thirds of Indian citizens living abroad are in the Gulf states. These factors contributed to the creation of a new foreign policy concept called Link West. Subsequently, this concept was used to refer to the Mediterranean region. The Afghan government and its allies are winning battles in Afghanistan but not the war. The Afghan war started as the “good war” and as President Obama termed it later as “war of necessity” and was won in less than two months. Quickly the success of the Afghan war was termed as an international model for fighting global terrorism. It was hailed as a model of international cooperation but what has happened since then? Why is it is now at worst a “lost war” and at best a “forgotten war”. Is this war winnable? Who is the enemy we are fighting? What are the costs of inaction and withdrawal and what are the costs of winning? What does victory look like? And finally how we can achieve victory? Do we have the right means both on the Afghan side and on the side of the international community to win it and how long would it take to win this war? I don’t have a crystal ball but firsthand experience and history tells me that the heart of the matter is that we have been winning battles and losing the war; short-term tactical successes over long term strategic win over the enemy. The crust of the failures lies in a halfhearted approach to war, zigzag policy making and the lack of a broad-based reform minded government in Kabul. WASHINGTON: What long-range weapons should the Army buy if President Trump keeps his promise to end the 1987 INF Treaty? The Intermediate-Range Nuclear Forces accord, despite its name, bans all ground-launched cruise and ballistic missiles, nuclear or not, with ranges between 310 and 3,400 miles. So withdrawing from INF would open up a lot of options — but which is best? It turns out that what you want to build depends on what you want to kill and from how far away. That means the US needs a mix of missiles for different missions — and it needs a different mix for a naval war in the vast Pacific against China than a land war in Europe against Russia. 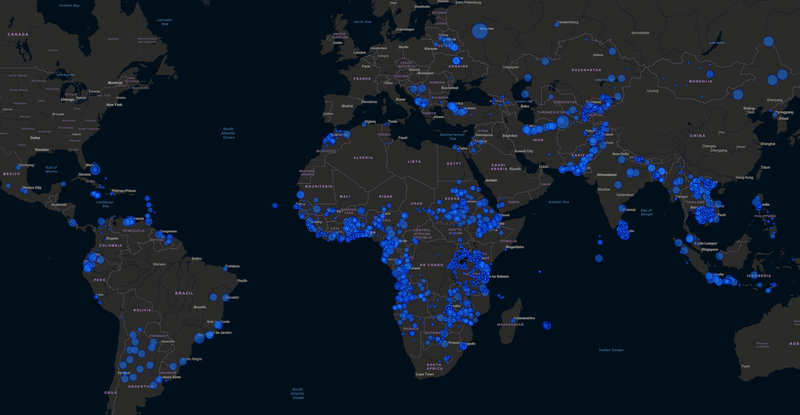 China has done a ton of building in the developing world. Over the past two decades, it has financed and built bridges, hospitals, roads, railways, airports and seaports — many billions of dollars' worth and counting. "China has recently become a major financier of economic infrastructure," according to a new report from AidData, a development finance research lab based at the College of William & Mary. That sounds like a good thing. But there are skeptics. Development experts and Western politicians have raised many questions: What is China's goal in building all this? Are these projects well-constructed? And are they actually beneficial? BERLIN (Reuters) - Senior German officials are planning a last-ditch drive to convince the government to consider excluding Chinese firms such as Huawei from building the country’s 5G infrastructure amid concerns this could compromise national security. The behind-the-scenes push in Berlin, which comes after decisions by Australia and the United States to ban Chinese suppliers from 5G, has emerged at a late stage, with Germany expected to start its 5G auctions in early 2019. Because of this momentum, officials, who spoke to Reuters on condition of anonymity, said it was unclear whether the initiative would succeed. But the push highlights the extent of the concern in some Berlin ministries about a Chinese role in building Germany’s next generation mobile network, despite the lack of a vigorous public debate here about the security dimensions of 5G. 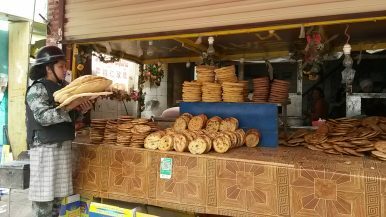 On a day in October, with a strong wind chasing the clouds over the mountains of Almaty and carrying the first whiff of damp firewood through the streets, the first Kazakh rises up against China in the back room at a hotel in the city. Kairat Samarkan is his name, a stout man with soft features and big hands who loves horse milk and the stillness of the mountains. He holds onto the lectern in front of him, his eyes scanning the cameras pointed at him, and tries to smile. But the camp immediately returns to the forefront of his mind. It has been about a year since Samarkan disappeared into a reeducation camp in China where he was forced to learn Mandarin and to sing communist songs. He likely only regained his freedom because three months later he smashed his head against a wall so hard that he almost died. Now he is one of the few Muslims able to talk about China's indoctrination camps. Congressional attention has turned to the Orwellian plight facing the Uyghurs, a Muslim minority in Xinjiang, in Northwest China. The Chinese state has incarcerated approximately one million Muslims in Xinjiang in “political education” camps for offenses as minor as having a beard. The authorities have placed tight restrictions on the practice of their religion and the teaching of their local language in an apparent effort to assimilate them into mainstream Han Chinese culture. Technology plays a vital role in this police state and enables new levels of intrusion into the population’s daily lives. According to Human Rights Watch, the Chinese government “imposes pervasive and constant surveillance alongside persistent political indoctrination.” Uyghurs constantly pass through checkpoints, many of which are armed with facial recognition technology. Wi-fi “sniffers” silently gather data from network devices. Xinjiang authorities have been instructed to gather biometrics for all residents between ages 12 and 65, including fingerprints, iris scans, blood types, voice samples, and DNA samples. Supply, demand, geopolitical events, and sentiment have once again conspired to confuse and complicate The Organization of the Petroleum Exporting Countries’ (OPEC) efforts to achieve and retain acceptable balances in oil markets. Last month’s commentary ( Trump Lambasts OPEC ) identified the wide range of prospective supply and demand-related considerations impacting market balances over the next several months, including increases in oil output from the United States, Saudi Arabia, and Russia, elevated concerns over a global economic slowdown, seasonal adjustments (refinery maintenance and weather), and policy/geopolitics—not the least of which focused on international compliance with recently enacted oil sanctions on Iran. That analysis concluded with the assumption that while markets could tighten during the fourth quarter of this year, surpluses would inevitably return in early 2019. In the intervening weeks, a number of these events have begun to manifest themselves, some in more predictable ways, others with unintended consequences. Supply has indeed increased with both the Saudis and Russians exceeding expectations and U.S. liquids output is on track to reach 12 million barrels per day (mm/bd) sometime next year. Flows from Iran have decreased, but production from Libya and Nigeria has stabilized, and Iraq is poised to add additional supply once political and logistical issues are addressed. The Trump administration’s announcement (November 5) of waivers/allocations to allow certain nations to continue their purchases of Iranian oil for the next 6 months (more on that later) has also had a profound impact on market sentiment, prompting speculative traders to reposition. The whistle bursts came loud and furious. With no time to shut up shop, two young women in high heels grabbed their infants with one hand, their oversized baseball bats and shields with the other, and slung their handbags round their necks. Tin helmets bobbing and bullet proof vests sliding off their shoulders, they tottered toward their compatriots in the main square and formed a circle of shields facing outward at the entrance to the market. Ducking down behind their weaponry and waiting for the all clear, they looked the invisible enemy in the eye. Another false alarm. But bad news. Amina, who had been breastfeeding her child when the alarm was sounded, was late. She had let them down and they would have to repeat the exercise, but this time under the eagle eye of an army major, detailed in for just these eventualities. Things looked bad for this little battalion. Earlier this month, Geir Pedersen, Norway’s ambassador to China and a former permanent representative to the United Nations, was appointed special envoy on the Syria conflict. He replaces the veteran Italian-Swedish negotiator Staffan de Mistura, who for four years tried but failed to end the bloody civil war. Syria has been brutalized for nearly eight years now. Eight years is the lifetime of a third-grade child. It is also two years longer than the total duration of World War II. And in those last two years, instead of winding down as all of its actors have grown exhausted, Syria’s crisis has actually escalated. The Society for Worldwide Interbank Financial Telecommunication (SWIFT), touts itself as the global provider of secure financial messaging services. The organization has traditionally been seen as an independent entity. However, this latest move has shown its centralization and loyalty to the US, which evidently controls the global banking system. US Secretary of State Mike Pompeo had warned SWIFT that there would be “penalties applied” to firms that do not comply with the latest round of sanctions. Stuck between a rock and a hard place, SWIFT could now face EU penalties for siding with the US and violating its own Joint Comprehensive Plan of Action (JCPOA) laws prohibiting companies siding with sanctions. “Turn the other cheek”—option 3 plus eliminate all tariffs on imports from the U.S. While the Trump administration continues to pursue its diplomatic opening with North Korea, Pyongyang has quietly continued work at its ballistic missile bases in rugged, remote corners of the country, according to a report released this week by the Center for Strategic and International Studies, a think tank in Washington. Joseph Bermudez, the report’s primary author and a North Korea expert, analyzed commercial satellite imagery and identified 13 of an estimated 20 missile bases scattered across North Korea, where troops are preparing for a possible military conflict with the United States. Finally, after months of procrastination, the government and parliament are reaching the point where choices about Brexit that ministers and MPs have been avoiding since the summer of 2016 can no longer be put off. Some key decisions could be taken within the next 24 hours; others in the run-up to the parliamentary vote (now expected mid-December, after an EU summit at the end of November). Can Theresa May win the backing of her entire cabinet? This matter will be resolved within the next 24 hours. The prime minister will see some ministers individually on Tuesday night, applying basic “divide and rule” psychology. In the past some cabinet Brexiters were braver when it came to briefing about their reservations rather than acting on them, but if they are going to walk it will have to be now. There will be particular focus on those who have laid down red lines in public, such as Andrea Leadsom and Penny Mordaunt. LONDON — British and European Union officials reached a long-awaited draft agreement on Tuesday on Britain’s troubled withdrawal from the bloc, opening the way for a high-stakes meeting of Prime Minister Theresa May’s most senior ministers to consider the plans, the prime minister’s office said. Cabinet ministers will have a chance to review the draft text before a critical meeting of the full cabinet at 2 p.m. Wednesday, the prime minister’s office said. After months of deadlock over the terms of Britain’s exit from the bloc, the presentation of the draft agreement is a moment of truth for Mrs. May, who is desperate to avoid a chaotic and disorderly “no-deal” Brexit. But she cannot be assured of support from hard-line Brexiteers in her cabinet, whom she may need to face down. For several decades, American strategic planning has been little more than a facade for annual line item budget debates. Arguably, U.S. strategic planning peaked when Harold Brown was Secretary of Defense in 1981. From that point onwards, efforts to create and manage U.S. national security using some effective linkage between strategy and real-world planning, programming, and budgeting activity steadily declined. Meaningful posture statements by the Secretary that tied strategy to plans and budgets faded away, along with real-world force goals, future year defense plans and budgets, and efforts to link strategy and spending to key joint mission areas like the categories in the program budget system or to the major regional and functional military commands. The U.S. military will request more money to develop lasers, microwave beams, and other directed-energy defenses to fight off missiles and drone swarms, the Pentagon’s top weapons engineer said Tuesday. “You’re going to see, in upcoming budgets for missile defense, a renewed emphasis on laser scaling [meaning scaling up the power of lasers] across several technologies,” Michael Griffin, defense undersecretary for research and engineering, said at an event hosted by the Center for Strategic International Studies. Griffin, a former NASA administrator, has previously floated the idea of firing neutral particle beams from satellites to disable enemy missiles shortly after launch. Mimecast Limited (NASDAQ:MIME), a leading email and data security company, today announced it has released the latest report Threat Intelligence: Far-fetched Idea or Must-have Security Tactic? from the Cyber Resilience Think Tank, an independent group of more than a dozen security leaders dedicated to working together to address cyber resilience challenges facing organizations. In this Mimecast-sponsored report, insights from global IT leaders have been sewn together to offer first-hand prescriptive advice and tactics for navigating the challenges of threat intelligence, including how to make actionable threat intelligence a priority in any sized organization. As one leader explains, "Good, actionable threat intelligence can help tell you who is behind an attack, the tools and tactics used, the who, the how and what they're after." Russia’s meddling in the United States’ elections is not a hoax. It’s the culmination of Moscow’s decades-long campaign to tear the West apart. “Operation InfeKtion” reveals the ways in which one of the Soviets’ central tactics — the promulgation of lies about America — continues today, from Pizzagate to George Soros conspiracies. Meet the KGB spies who conceived this virus and the American truth squads who tried — and are still trying — to fight it. Countries from Pakistan to Brazil are now debating reality, and in Vladimir Putin’s greatest triumph, Americans are using Russia’s playbook against one another without the faintest clue. 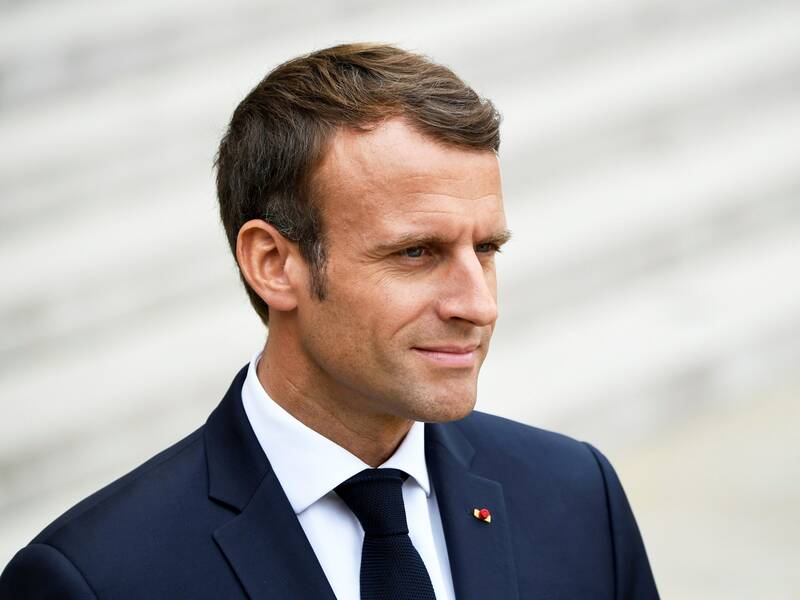 DURING A SPEECH at the annual UNESCO Internet Governance Forum in Paris Monday, French President Emmanuel Macron announced the “Paris Call for Trust and Security in Cyberspace,” a new initiative designed to establish international norms for the internet, including good digital hygiene and the coordinated disclosure of technical vulnerabilities. The document outlines nine goals, like helping to ensure foreign actors don’t interfere with elections and working to prevent private companies from “hacking back,” or retaliating for a cybercrime. It’s endorsed by more than 50 nations, 90 nonprofits and universities, and 130 private corporations and groups. The United States is not one of them. The Paris Call ultimately lacks teeth; it doesn’t require governments or corporations legally adhere to any specific principles. It’s mostly a symbol of the need for diplomacy and cooperation in cyberspace, where it’s hard to enforce any single country’s laws. More notable than the accord itself is who signed it. Major American technology corporations including Microsoft, Facebook, Google, IBM, and HP all endorsed the agreement. 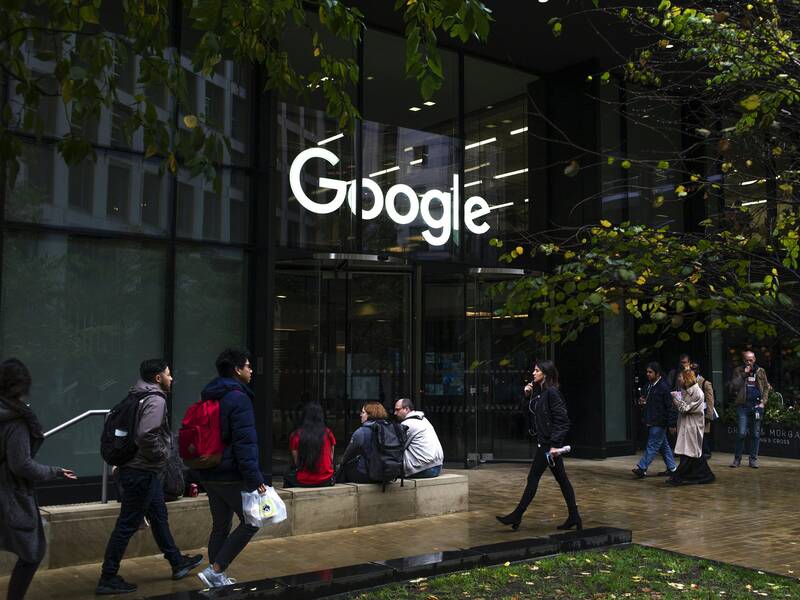 FOR TWO HOURS Monday, internet traffic that was supposed to route through Google's Cloud Platform instead found itself in quite unexpected places, including Russia and China. But while the haphazard routing invoked claims of traffic hijacking—a real threat, given that nation states could use the technique to spy on web users or censor services—the incident turned out to be a simple mistake with outsized impacts. Google noted that almost all traffic to its services is encrypted, and wasn't exposed during the incident no matter what. As traffic pinballed across ISPs, though, some observers, including the monitoring firm ThousandEyes, saw signs of malicious BGP hijacking—a technique that manipulates the web's Border Gateway Protocol, which helps ISPs automatically collaborate to route traffic seamlessly across the web. Secretary of Defense Jim Mattis created a task force Oct. 24 to protect critical technology and prevent data-exfiltration of closely guarded secrets by foreign governments. Air Force Maj. Gen. Thomas Murphy will lead the task force. He was previously served as the deputy director of command, control, communications and computers and cybersecurity for the Department’s Joint Staff. He has also served as vice commander of the 24th Air Force and Air Force cyber. 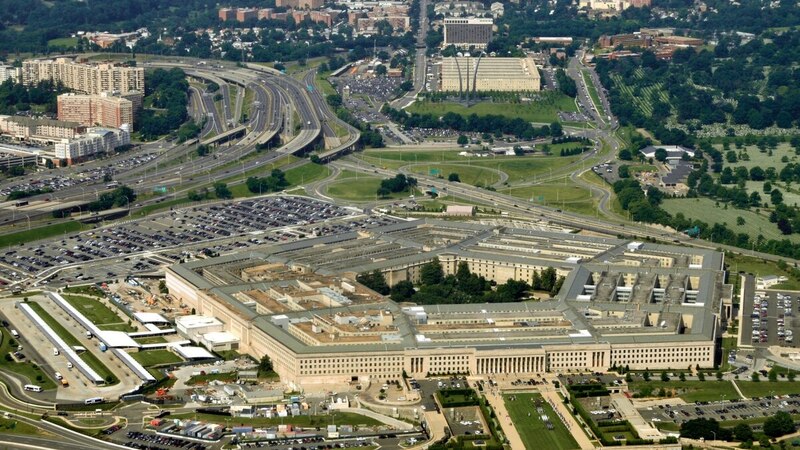 The Pentagon has not fully implemented a 2015 law aimed at improving how agencies share cyberthreat indicators and defensive measures, according to an inspector general’s report released Nov. 13. The Cybersecurity and Information Sharing Act, or CISA, has not been fully implemented because the Pentagon’s chief information officer did not establish a policy to follow the new rule, the report said. “As a result, the DoD limited its ability to gain a more complete understanding of cybersecurity threats,” the report read. 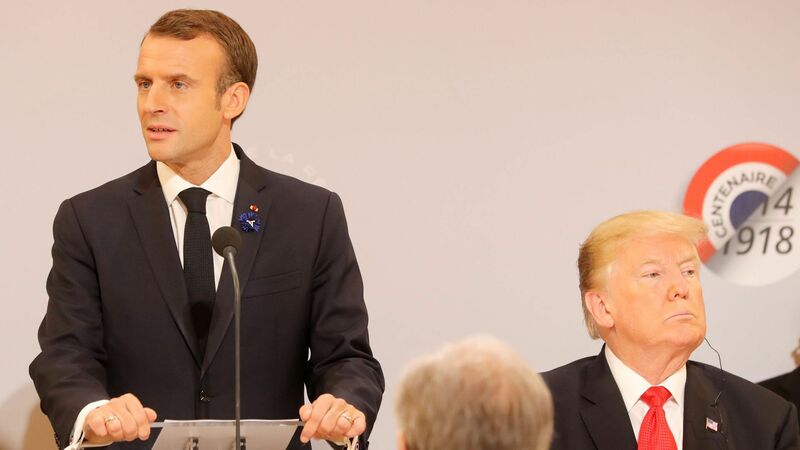 The United States has not signed the Paris Call for Trust and Security in Cyberspace, a pact between 51 countries and hundreds of the important companies in tech, nonprofits and universities. At least, not yet. The big picture: Signatories tell Axios that the U.S. hasn't shut the door on the agreement of general principles for internet security. The agreement, a first-of-its-kind document involving both the public and private sector, could be a significant step toward a global understanding of what countries are and aren't permitted to do online — but that's likely only if the U.S. lends its heft. 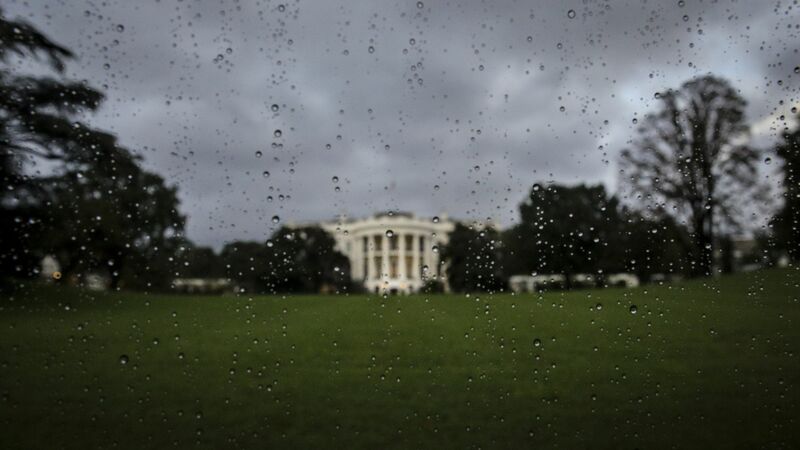 What they're saying: "It is a missed opportunity for the U.S., especially because the agreement is nonbinding," Peter Singer, a strategist and senior fellow at the New America Foundation, told Codebook via email. U.S. national security is in greater peril “than at any time in decades,” according to a new report from a panel of top national security experts tasked by Congress with reviewing the state of American national defense. Why it matters: The U.S. has entered into an era of "great power competition" with China, which poses an unprecedented challenge to U.S. dominance both economically and militarily, and with an increasingly assertive Russia. According to the report from the National Defense Strategy Commission, American military superiority has deteriorated to the point where the U.S. “might struggle to win, or perhaps lose, a war against China or Russia.” As U.S. superiority fades, the authors write, the likelihood of war rises. In the early 1990s, the end of the Cold War gave rise to a global movement to rid former war zones of land mines, which were littered across at least 68 countries. President Bill Clinton became the first world leader to call for their elimination on a global scale, but when it came time to formally ban them, the United States refused. Instead, over two decades, the United States invested $2.9 billion in demining projects and the destruction of other conventional weapons around the world. It has also destroyed millions of its own antipersonnel land mines, a weapon deemed particularly dangerous to civilians because it is buried underground and detonates when stepped on. While much of the world has moved away from the use of land mines of all kinds, the United States Army is now developing a new line of them to replace its suite of antivehicle land mines from the 1980s. According to Audra Calloway, a spokeswoman at Picatinny Arsenal, which has long supervised weapons development for the service, these munitions are meant to replace the service’s current inventory, which were manufactured 30 years ago. The Army’s end goal is to create a munition that can be detonated remotely by a soldier — a design feature that in theory could reduce the risks that land mines pose to civilians. It could also keep the United States aligned with — but still not signatory to — an international treaty signed by more than 160 countries that bans the use of antipersonnel mines, but does not prohibit mines designed to destroy vehicles like tanks and armored personnel carriers. Since 2016, the Army has spent $106 million on this initiative, called the Gator Landmine Replacement Program, yet it is still in its early stages. Here’s what we know so far. What is the Gator Landmine Replacement Program? So-called near peer adversaries have demonstrated sophisticated electronic warfare and signal jamming capabilities from Europe to the Middle East to the Pacific. This is worrisome to U.S. military leaders as future communications equipment could be susceptible to jamming and in turn, could prevent allies and friendly forces from communicating on the battlefield. Army leaders say future radios need to be more resilient and flexible in the face of advanced jamming capabilities. 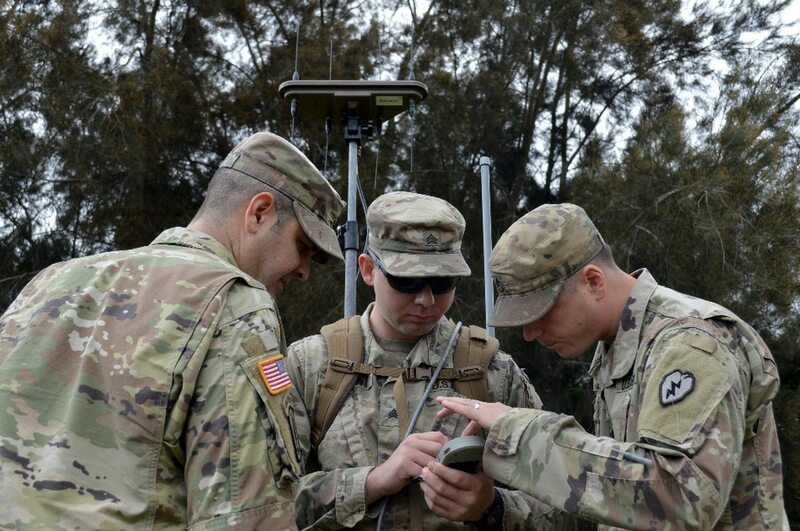 As the Army looks to modernize its tactical network and associated communications gear, one command recently created a contested environment for the service to these systems.